Top 10 Worst Super Smash Bros Stages. Super Smash Bros. is an fighting game which features nintendo characters and 3rd party characters from other video game franchises. the first Smash game came out in 1999 for the Nintendo 64 and the most recent release for the Wii-U and 3DS. There are alot of good stages and bad ones and today i will count down in my opinion, the worst stages in the Smash series. This stage is not as bad as the rest on this list but at the time since this was the first SSB game, it was very unfair. The yellow acid is the biggest problem with the stage as it can send you up for an KO within a few hits as the player lands in it. it also can rise to the highest point of the stage occasionally. Plus, there is an platform on the far right of the stage so players can “camp” there. Side scrolling stages are annoying and ridiculous and this one is an prime example. This stage’s origin is from F-Zero for the super nintendo and the only thing that saves your life on this stage is the vehicles that are used as platforms. Sometimes, they break away leaving an open area for the players to fall off to either get KO off the stage or land on the road as the players will be quickly rushed back to the blast zone for an KO on the far left. Another side scrolling stage based off of world 15 in Super Mario 64. First, it starts on the ship, and after that, it gets ridiculous as we go towards small platforms and falling edges and etc and it repeats again when you land back on the ship. The first time i tried this stage, i thought it was interesting. That was until it randomly scrolls up or down for a few minutes. sometimes fast, sometimes slow. make one wrong move and you can get stuck and cause yourself to get an KO. This Stage is based off the Donkey Kong arcade game and it is annoying. you are mostly climbing the ladders to tri verse the area to get to another section without being damaged from the obstacles. sometimes, the 8-bit Donkey Kong appears and whoever is near him, will be damaged. this stage was not needed in Brawl due to the size but SSB:Wii-U gets an pass for it since 8 players can play on this stage when this stage returned in the game. What can i call this stage? an total nightmare. It is too frustrating to get an KO on this stage and the Koopas and Sidesteppers seem way too overpowered for stage hazards. you are better off playing the original Mario Bros game than to play on this stage. This is the only stage in Smash history where if you walk on one end, you will end up on the other side of the screen (in reference to the actual game mechanic in the original Balloon Fight game for the NES) instead of hitting the blast zone but that does not say much for this stage. the permanent flipper in the stage will catch you in the least deserving times, the radius of the entire stage is way too short for an KO to happen and the damn fish in the water will 90% of the time, pull you in the water for an KO if you end up in the water and that happens way too many times. It was either this stage or Palutena’s Temple to take the number 3 spot. I believe this is the largest stage in Smash Bros. history. This stage is meant for 8 players and it is extremely hard to KO anybody off the stage or to do smash attacks that launch. also, it is extremely annoying to travel on this stage as there are “Lava Zones” in most places on this stage. If a player ends up on one of those zones with more than 100% damage, it is an instant KO. Also, do not play this stage if you have a small TV. there is not much to say about this stage except that there is different pokemon that serve as various platforms. they randomly change starting with squirtle. Here it is. 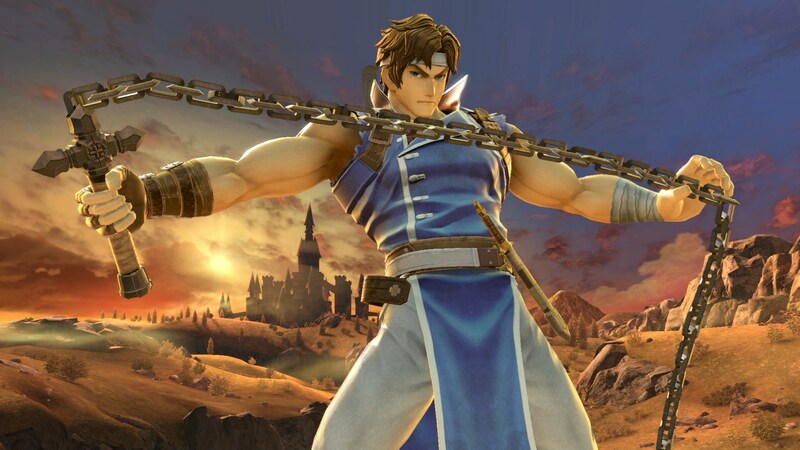 In my opinion, the absolute worst stage in Smash Bros. history. you start at the beginning of the level of this side scrolling stage. but then, the stage hazards appear as the screen is scrolling. the difference between the hazards in this stage than others is that you cannot tell the difference which is an stage hazard since the original PACLAND game had the same exact layout and items in the way. Once you reach the end, the screen scrolls backwards until you reach the start and then repeat. you cannot think for a few seconds on what move to pull off for most of the time and this stage has the most disadvantages for characters to be used on this stage. 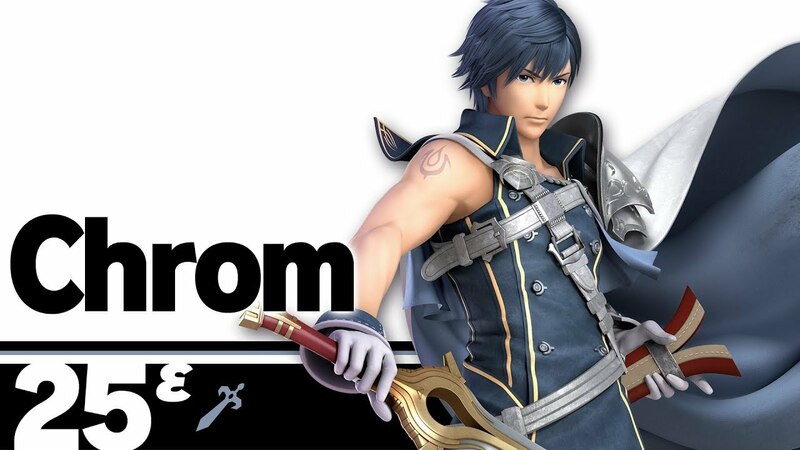 Finally, after 6 long years, A new Smash Bros game is here (for the Nintendo 3DS of course). Does this game live up to the hype? Well let’s see as I review Super Smash Bros. for 3DS. With 49 characters to choose from, this game has the largest roster to date. With newcomers such as Megaman, Pac-Man, Roslina, Dark Pit, Duckhunt, Bowser JR. And more along with returning characters featuring Mario, fox, Pikachu, Samus and Link and more, this gives you a variety of characters to choose from with many fighting styles they possess. First, I would like to talk about the graphics and presentation. Although it is highly recommended to play this on the 3DS XL, I have it for the normal 3DS and the only difference is that you can see what is going on more better when you play and everything else is slightly bigger than the normal 3DS. The graphics are actually great and it looks better in 3D. Super Smash Bros. Brawl had the realistic approach but this game’s approach is colorful and a bit cartoonish but that is not a bad thing at all as I think this game looks better than Brawl. The game also runs at 60 FPS (frames per second) and the speed of this game is much faster than Brawl but not as fast as Melee. The gameplay on the handheld feels as if you are playing on a normal console but everyone’s perspective will be different or the same as mines depending on how they play. The commands are responsive but however, the functions for the circle control pad can take work but try to not overuse it or else it will break. A few gameplay changes from Brawl include removing the “random tripping” mechanic. Many players were turned away when that was included in Brawl so good thing that was taken out. The grabbing of ledges has been changed to prevent edge hogging. What this means is for example, If player 1 Is hanging on the edge for their life before they are knocked off, player 2 would try to hang on the edge but the player cannot because player 1 is already there and would stay there. This has been fixed so when this happens, the players would be bounced off in favor for the other player. 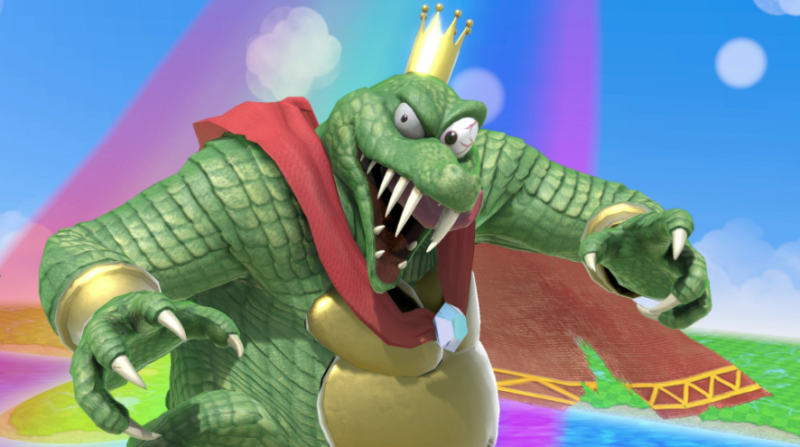 The swimming feature from Brawl is also removed and the neutral attacks that previously ended in an indefinite number of weak hits will now always transition into a finishing move. I always had a problem with players spamming neutral attacks like that since Super Smash Bros. Melee so I was glad that was fixed. One thing I almost forgot to mention is that larger characters such as Bowser, King Dededee, Donkey Kong and more actually look their size compared to past games. There are 34 stages in the game in their normal form and their final destination form. A few of the stages feature a boss character that you would have to defeat or a character that can assist you. My only problem with the stages is that they brought back too much stages from both Melee and Brawl. Two stages to be brought back would have been find but 9 is way too much. Now there are a lot of modes in this game to keep you busy for a long time. 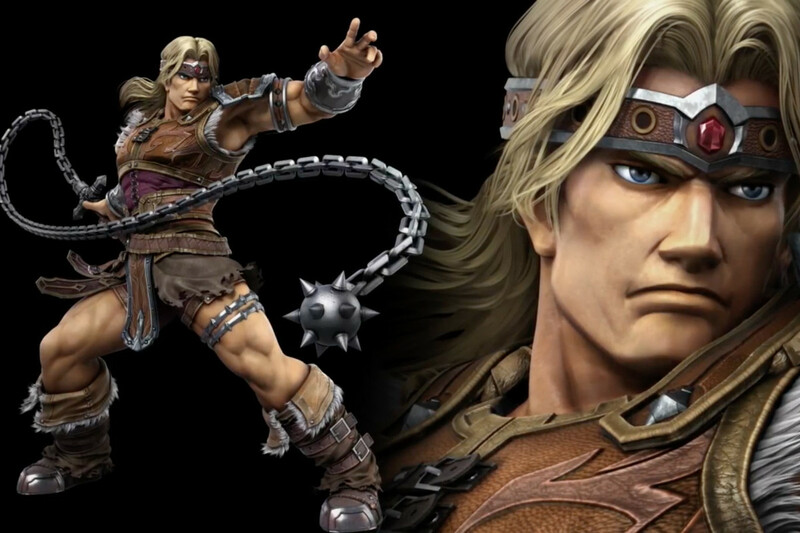 Those are, Classic Mode, a mode Smash Bros. Veterans know but it changed a bit. Now you can choose your path on which opponent you would like to face and there is a slot reel for rewards for you to choose before a match begins. Other modes include All Star Mode, Multi-Man Smash, Target Blast, Trophy Rust and the Home Run Contest. All of these modes you can win trophies, coins and custom parts in which I will get to. The most disappointing mode of the entire game is the Smash Run. You spend 5 minutes on this mode with 3 other players or CPU collecting power ups on the map by defeating enemies and when the time runs out, the final battle begins in either a match or an event to race to the finish. How would you like to collect power ups for strength and defense to then realize that the finial event (if it is an race to the finish), one player is very faster than everyone else and that is unfair. If the final battle is a match, you will not know if it is a team match or a different rule until it happens. The customization is new to the series. You can create up to 8 characters using the Mii and their styles you can choose from are gunner, brawler and sword fighter. They all can be customized by appearance and move set and stats. All of the normal characters can be customized too by changing their stats and their special moves. This is great and you can create many possibilities with this. Unlocking the moves and stay power ups take time but it is totally worth it. My final take on this game is that it is great for everyone to play. Although the smash run is an upset, it is still good for casual playing other than just VS. Matches. The soundtrack to this game was great too and this game fixed a lot of the issues that was in Brawl. The Wii-U version comes out later this year but this is totally worth spending your money on and at least everyone gets their own screen.